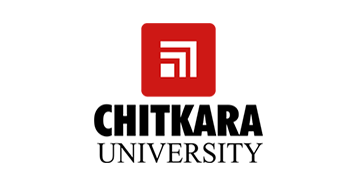 Quick Heal Academy is proud to announce that it has entered into a MoU with Chitkara University. With the objective of increasing Cyber Security professionals in the industry, Quick Heal Academy in association with Chitkara University has introduced an additional stream in Cyber Security for the 4-year Undergraduate program. Quick Heal Academy signed a MoU with Gujarat Forensic Sciences University during Vibrant Gujarat 2017 where Director Dr. M.S.Dahiya of IFS, GFSU exchanged the MoU with Sr Director Rohit Srivastwa & Director Vishal Kumar of Quick Heal Academy. 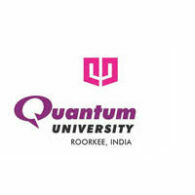 Quick Heal Academy is proud to announce that it has entered into a MoU with Quantum Global Campus.Quantum Global Campus is located at Roorkee, the Mecca of higher education in India in the picturesque state of Uttarakhand. Roorkee is a quiet, scenic town located along the Ganga canal. Given its long history of higher education, it offers a rich pool of highly qualified faculty. Savitribai Phule Pune University, one of the premier universities in India, is positioned in the North-Western part of Pune city. It occupies an area of about 411 acres. It was established on 10th February 1949 under the Poona University Act. 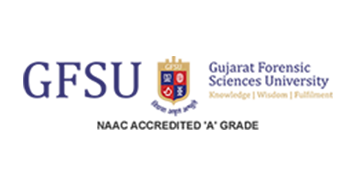 The Academy has designed an ‘M-Tech in Information Technology Program’ for Savitribai Phule Pune University. 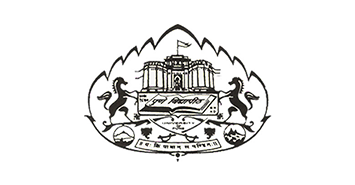 Established in 1948, MCES (Maharashtra Cosmopolitan Education Society) is one of the oldest and most reputed educational societies of India. The society runs 30 institutes from its ultramodern campus located in the heart of Pune Camp in Maharashtra. The Institutes, Schools and Colleges run by the society offer Primary Education, Secondary Education, Under Graduate and Post-Graduate courses in various domains such as Medicine, Dentistry, Pharmacy, Hotel Management, Law, Architecture, Information Technology, Management, etc. The Institutes, Schools and Colleges run by the society are fully recognized by the Government of India and are affiliated to the Savitribai Phule Pune University, Maharashtra University of Health Sciences and other such affiliating bodies. More than 27,000 students study in the campus. The society offers a scholarly atmosphere along with modern facilities for extracurricular and sports activities. The students are encouraged to excel in academics and other areas. The society continuously produces University toppers and achievers in sports and extracurricular activities. 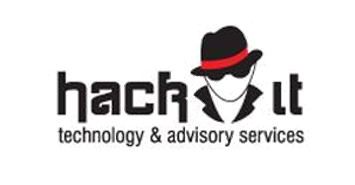 HackIT Technology and Advisory Services focuses on enterprise-specific security solutions and services that enable our clients to maintain and secure their digital assets to the best possible standards and quality. A comprehensive, current and cost-effective methodology is adopted and practiced to deal with the contemporary and complex security challenges of this digital era. HackIT is the vision of a dedicated team of seasoned hard-core security professionals who believes and follows the art and science of digital security. HackIT has come a long way and is currently an accepted and prominent force in providing enterprise-wide security and services and solutions in the region. Our Partners and Associates help us reach beyond geographical boundaries, delivering quality and affordable services of international standards. The HackIT Team is motivated and driven by security visionaries and industry veterans who have proven track records and industry recognition. HackIT offers widespread consulting and capacity building services that help organizations identify security strategies and implement solutions to mitigate risk, ensure compliance and speed-up business objectives. GRID91 is an India-based risk consulting startup, helping businesses in India, Bangladesh, and Sri Lanka manage complex risks through its line of bespoke solutions. The team constitutes of risk management professionals who have operated in various sectors and geographies across the globe. GRID91 brings in value through their risk management approach, which firmly focuses on providing clients with proactive and practicable solutions that enable business continuity. As global businesses continue to expand and diversify, the fast pace of work tends to draw attention away from risks that could have a potentially large impact on business continuity, thereby denting your company’s ambitions. The team at GRID91, seek to work closely with you to understand your organisation and find solutions to your needs. Its integrated approach provides the resilience required for you to avoid risks before they become problems. In an ever-evolving world, GRID91 as a reliable risk management partner can be the difference between risk and opportunity for your achievements. Cialfor is a cyber security company based out of Pune, Maharashtra, India. Cialfor has a Mobile Forensics Team (MFT), a team of experts that deals with the issues of mobile related crime. MFT deals with several domains which includes – Information Extraction, Hardware & Software Extraction, Analysing Software, Mobile Forensic Servers. Copyright © 2019 All Rights Reserved Quick Heal Technologies Limited.